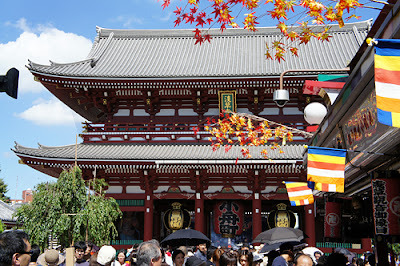 Asakusa, 浅草 is a district in Taitō, Tokyo, Japan, most famous for the Sensō-ji, a Buddhist temple dedicated to the bodhisattva Kannon. 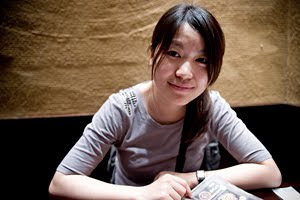 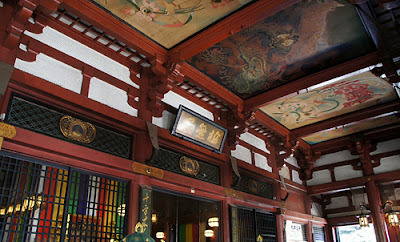 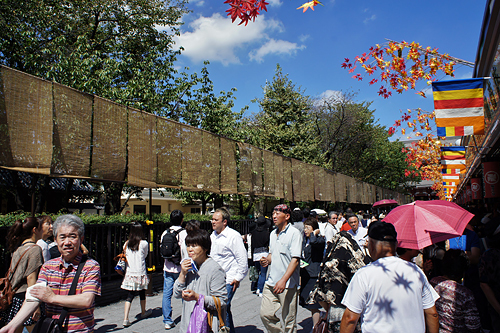 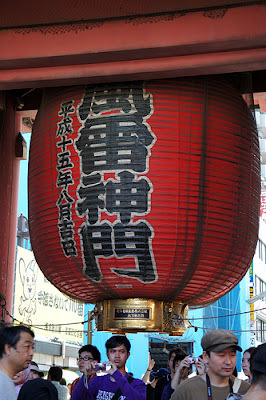 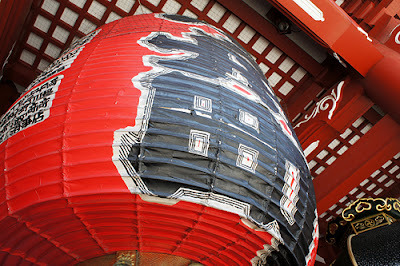 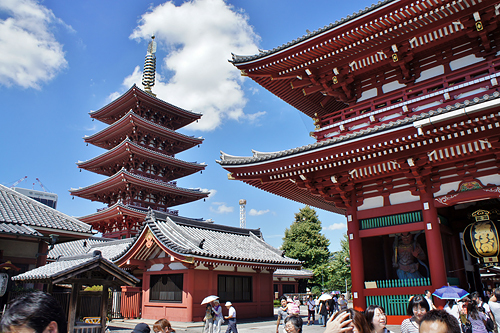 There are several other temples in Asakusa, as well as various festivals. 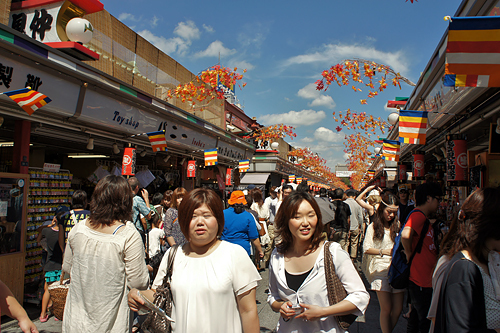 A hot spot for tourists around the world. Right in the middle of Asakusa is a large cluster of Buddhist temples, surrounding the temples are souvenir and food stores specially catering for tourists. 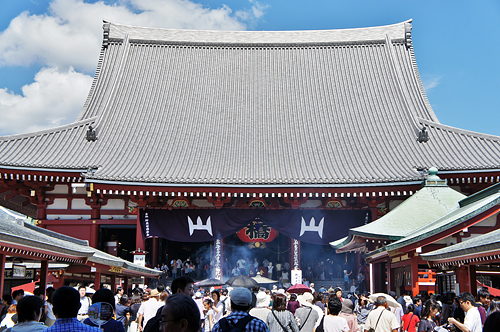 This place, no matter which day of the year is mostly packed to the brim. 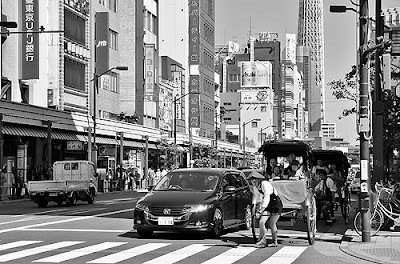 This is also the only district in Tokyo to have manual rickshaws; they will pull you around the district for a nominal fee.